This week’s parasha is Vayechi, where Jacob blesses his children before his passing. He begins by telling his sons that he wishes to reveal to them what will happen b’acharit hayamim, “in the End of Days”. Yet, the text we read does not appear to say anything about the End of Days! The Talmud (Pesachim 56a) states that the Shekhinah withdrew from Jacob at that moment so he was unable to reveal those secrets. If that’s the case, how was he able to properly bless his children? The Talmud states that when the Shekhinah left him, Jacob worried one of his children was unworthy to hear those secrets. 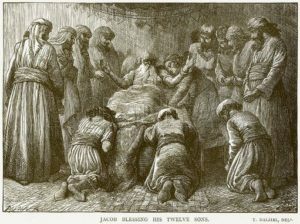 His sons then recited the Shema in unison and said, “just as there is only One in your heart, so is there in our heart only One.” Jacob was comforted to know they are all indeed righteous, and it seems the Shekhinah returned to him at this point, allowing him to bless his children in holiness. Nonetheless, Jacob reasoned that to reveal the secret of the End in explicit fashion would be unwise, so he encoded these mysteries within the blessings he recited. In fact, Jacob not only encrypted what will happen in the End, but summarized the breadth of Jewish history (see ‘How Jacob Prophesied All of Jewish History’ in Garments of Light). 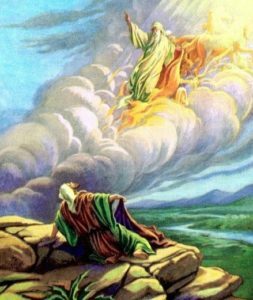 One place where Jacob appears to make an explicit reference to the End is in blessing Dan, when he says, “I hope for Your salvation, Hashem” (Genesis 49:18). Jacob says Dan will be the one to judge his people—alluding to the great Judgement Day—and wage the final battles like a “snake upon the road… who bites the horse’s heel so that its rider falls backwards”. Jacob is speaking of Mashiach. 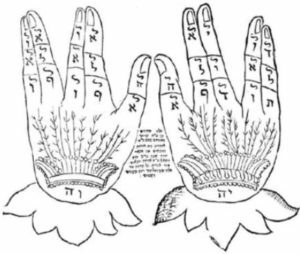 Although Mashiach is a descendent of David and from the tribe of Judah, the Midrash states that this is only through his father, while through his mother’s lineage Mashiach hails from the tribe of Dan. 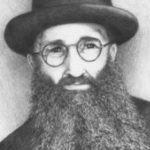 Why does Jacob compare Mashiach to a snake? In cultures around the world, there is a peculiar connection between snakes and prophecy. 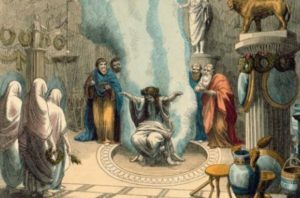 In ancient Greece, for example, the Oracle went into a prophetic trance when supposedly breathing in the fumes (or spirit) of the dead python upon which the Temple in Delphi was built. According to myth, this great python (a word which has a Hebrew equivalent in the Tanakh, פתן) was slain by Apollo. The Temple was built upon its carcass. For this reason, the Greek prophetess was known as Pythia. Similarly, the Romans had their sacred hill on the Vatican (later adopted as the centre of Christianity). The second-century Latin author Aulus Gellius explained that the root of the word Vatican is vates, Latin for “prophet”. Others elaborate that vatican refers more specifically to a “divining serpent”. Meanwhile, on the other side of the world the Aztecs had Quetzalcoatl and the Mayans had Kukulkan, the “feathered serpent” god of wisdom and learning. And such mystical dragons appear just about everywhere else, from Scandinavia to China. Incredibly, the Torah makes the same connection, where Joseph is described as a diviner who uses a special goblet to nachesh inachesh (Genesis 44:5). This term for divination is identical to nachash, “snake”. 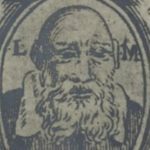 In Modern Hebrew, too, the term for guessing or predicting is lenachesh. Why is the snake associated with otherworldly wisdom and prophecy? Back in the Garden of Eden, it was the Nachash that encouraged Eve to consume of the Forbidden Fruit. This was the fruit of the Tree of Knowledge. The Serpent is the one who unlocked the minds of Adam and Eve to higher wisdom so that they could “be like God”. 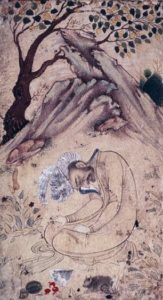 Jewish tradition maintains that Adam and Eve were eventually supposed to eat of the Tree of Knowledge (for otherwise why would God put it there to begin with?) but they simply rushed to do so when they were not yet ready. They transgressed God’s command, and knew not what to do with all of this tremendous information, resulting in the shameful descent of man into sin. The one who instigated it all was the Nachash. 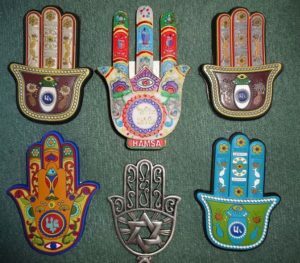 Mashiach is the greatest of mystics, the holder of forbidden knowledge which will soon no longer be forbidden. The time will come when, as God originally intended, man will eat from the Tree of Knowledge and be “like God”. That first requires a return of mankind to the Garden of Eden, which is the very task of Mashiach. Beautifully, the gematria of Mashiach (משיח)—the one who brings us back into Eden—is 358, the same as Nachash (נחש)—the one who forced us out to begin with. And so, as Jacob envisions, the snake symbolizes Mashiach himself. While Mashiach is likened to a serpent, he must also defeat the Primordial Serpent which embodies all evil. Indeed, the Sages speak of two serpents (based on Isaiah 27:1): the “straight” serpent (nachash bariach) and the “twisted” serpent (nachash ‘akalaton). Mashiach is the straight serpent that devours the twisted one. This was all alluded to in Moses’ staff-turned-serpent consuming the Pharaoh’s staff-turned-serpent. In fact, another serpent staff, the nachash nechoshet, is later used by Moses to heal the nation. 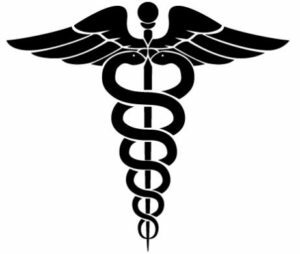 This healing staff found its way into Greek myth as well, where it was wielded by the healer god Asclepius, and eventually into the modern internationally-recognized medical symbol. And that brings us back to the End of Days. In recent years, there have been whispers of a necessity to change the current 12-sign horoscope to include a 13th zodiac sign. This was featured in the media on a number of occasions, with flashy headlines suggesting that some people’s astrological sign may now have changed. This is based on the fact that there is a “precession of the equinoxes”: the earth’s axis changes very slowly over time, meaning that the constellations which are visible in the night sky change, too. Either way, whether the horoscope requires modification or not is irrelevant to Judaism, which denies any astrological effect on Israel (a topic we’ve explored in the past). 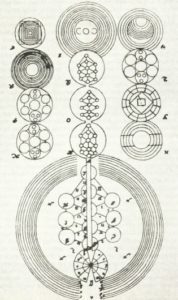 Besides, unlike astrologers, astronomers both ancient and modern have always been aware of this thirteenth constellation. To the ancient Babylonians it was the snake-like Nirah, while to the ancient Greeks it was known as Ophiuchus, the “serpent-bearer”. This constellation is in the shape of a man firmly grasping a twisted snake (the interlinked constellation Serpens). This is, of course, the very symbol of Mashiach, that serpentine saviour who defeats the primordial snake and all of its evil. After being an astrological footnote for a very long time, Ophiuchus has entered the spotlight, as if the cosmos itself is reminding us of Mashiach’s impending arrival. 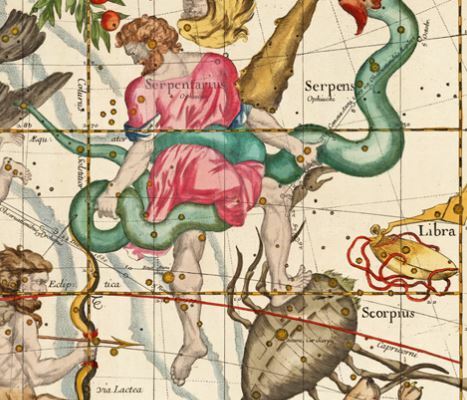 Ophiuchus (or Serpentarius) grasping Serpens, with Libra and Scorpio on the bottom right, and the bow-wielding Sagittarius on the bottom left. * The same is true in traditional Jewish thought, where each sign corresponds to a month on the Hebrew calendar, as well as to one of the twelve tribes of Israel. Having said that, including a 13th month for the Jewish system is not a problem at all. In fact, it is actually a solution, since the Jewish calendar has a 13th month in a leap year! Similarly, although we always speak of twelve tribes of Israel, there are really thirteen since, as we read in this week’s parasha, Jacob made Joseph count as two separate tribes: Ephraim and Menashe. 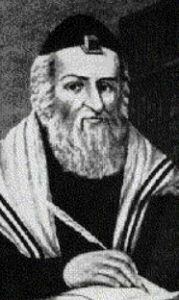 This entry was posted in Kabbalah & Mysticism, Mashiach & End of Days, Mysteries & Origins, Prophecy and tagged 13th Zodiac Sign, Adam and Eve, Alter Rebbe, Ancient Greece, Apollo, Apotheosis, Asclepius, Astrology, Astronomy, Aztecs, Babylon, Ben Azzai, Ben Zoma, Blessings, Chagigah (Tractate), Constellations, Dan, Delphi, Dragons, Elisha ben Avuya, End of Days, Equinox, Forbidden Fruit, Garden of Eden, Gematria, Health, Hebrew Calendar, Hinduism, Isaiah, Jacob, Judgement Day, Kabbalah, Kukulkan, Mashiach, Mashiach ben Yosef, Mayans, Moses' Staff, Nachash, Nachash 'Akalaton, Nachash Bariach, Nachash Nechoshet, Ophiuchus, Oracle, Pardes, Pesachim (Tractate), Pharaoh, Precession of the Equinoxes, Pythia, Python, Quetzalcoatl, Rabbi Akiva, Rabbi Shimon bar Yochai, Serpens (Constellation), Serpent, Serpentarius, Shekhinah, Snake, Tree of Knowledge, Twelve Tribes, Vatican, Zodiac, Zohar on December 27, 2017 by Efraim Palvanov. This evening we usher in the final day (or two days, in the diaspora) of Pesach. The last day of the holiday commemorates the Israelites’ crossing of the Red Sea, the point at which they were finally free of Egypt. Pharaoh’s armies were annihilated, and he abandoned his pursuit of his former slaves for good. The Israelites were now completely free. The message that God instructed Moses to carry to Pharaoh was: “Let my people go so that they may serve me” (Exodus 7:16). The verb that is used is identical to that describing our service to Pharaoh; we were avadim l’Pharaoh and became avadim l’Hashem. Were we really freed from slavery, or did our slavery simply transfer from one master to another Master? There are many ways to define ‘freedom’. The term might mean different things to different people at different times. A Talmudic definition of freedom is the ability to control one’s own time. A slave is told what to do and when to do it (for this reason, Jewish servants were exempt from time-bound mitzvot). A more modern definition of freedom – particularly in our capitalistic world – might be tied to amassing a vast fortune. There is a great deal of truth in this, as the Talmud (Nedarim 38a) tells us that all of our forefathers and prophets were exceedingly wealthy. For a child, freedom might mean staying up past their bedtime, or eating as many sweets as they wanted. For an adult, freedom might be a week off work or spending quality time with family. To find a singular, all-encompassing definition of freedom, one has to zoom out and find a common denominator. The simplest (and most common) would be to say that freedom is the ability to do whatever a person wishes to do. Indeed, Merriam-Webster’s primary definition of freedom is “the absence of necessity, coercion, or constraint in choice or action”. In other words, one is free to act as they wish. The problem with this definition is that it is difficult to separate from simple instinct. For example, if one suddenly has a desire to consume a large piece of cheesecake, and does so, is this really freedom, or just a submission to their inner compulsion? What if this person is lactose-intolerant and grossly overweight – would eating that cheesecake be an act of freedom, or an act of slavery to their body’s desires? It appears that we need to refine the above definition of freedom. Instead of phrasing it in the positive – the ability to do whatever one wishes – a better way to look at it might be in the negative: the ability to restrain one’s self from doing whatever they wish, even though they are completely free to do so. Ultimately, it is very easy to say “yes” to one’s self; it is far more difficult to say “no”. The latter is the real test of free will, and often the truest expression of freedom. It is only when a person has developed the ability to overcome their inner instincts and their base bodily desires that they are truly free. Otherwise, although they may not be slaves to a Pharaoh, they are still slaves to themselves. And so, when God freed the Israelites from Pharaoh’s slavery, He did not simply let them “go free”, but rather, gave them a Torah full of mitzvot, to “serve God”, so to speak. Of course, God requires no service – He is infinite, eternal, needing absolutely nothing at all. When we “serve God”, we are really just serving ourselves. The mitzvot were given only to refine the individual; to perfect one’s character and to free a person from the confines of their body, making them as Godly as possible. God commanded the people: “Be holy, for I am holy” (Leviticus 19:2). We are meant to be like God, for in God’s image we were fashioned. And this is the key to true freedom, since the ultimate source of freedom is God – who is infinite and limitless – and we are commanded to become like Him – infinite and limitless. The potential is seeded deeply within all of us, for we were all made in God’s image. This entry was posted in Holidays, Personal Development and tagged Apotheosis, Ben Zoma, Divine Service, Divine Will, Freedom, Holiness, King Solomon, Passover, Pharaoh, Pirkei Avot, Proverbs, Rabban Gamliel, Slavery, Willpower on April 28, 2016 by Efraim Palvanov.